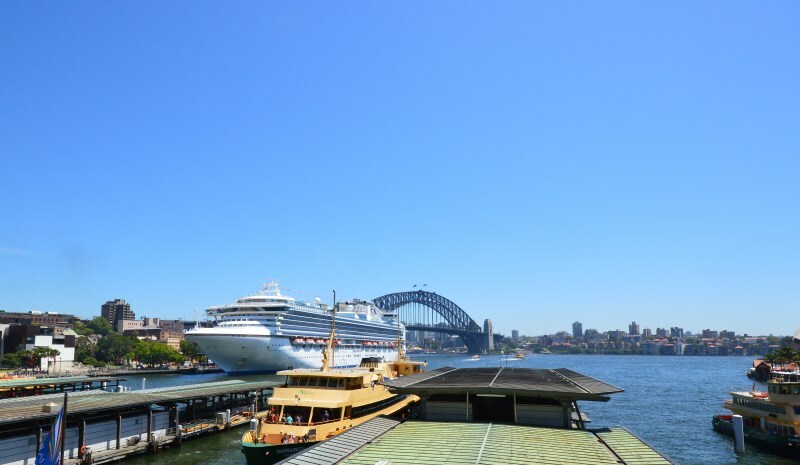 Photo: Trains, Taxis, Buses, Ferries and Cruise ships all converge on Circular Quay in Sydney. This is where Australia began as a country, as what is now called Circular Quay was known as Sydney Cove, where the First Fleet had decided to begin settlement. What was once a penal colony quickly developed into a village, then town, then city and country, originally radiating from here. Much development has taken place here since the early 1900s, culminating with the train station and the Cahill Expressway, constructed in 1958. Not much further away is The Rocks, Australia’s finest restored historical district, the Sydney Opera House and the MCA. MCA: the Museum of Contemporary Art is in a wonderful example of 20th century art deco building and has changing displays. The MCA is committed to exhibiting, interpreting and collecting Australian contemporary art, as well as displays from around the world. Photo: The Ferry to Manly (featured) will take you past many interesting sights, including the Sydney Opera House, featuring prominently on the harbour at Bennelong Point. 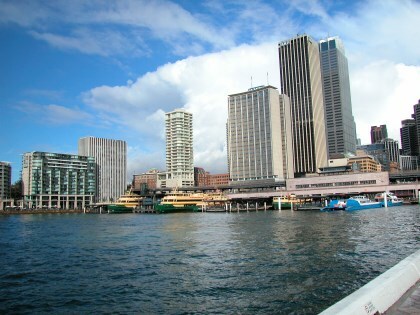 There are plenty of great Sydney Harbour cruises as well, taking you to many more scenic places. See the City Central Map showing Circular Quay at the foot of the city, The Opera House and The Rocks Map of Sydney CBD. For Parramatta see the Greater Sydney Surrounds Map. Main Photo: Trains, Taxis, Buses, Ferries and Cruise ships all converge on Circular Quay in Sydney.